Soul Cages – Part One. Dreams in the Desert. 23. Posted on December 2, 2013 by Lynn Kilmore | Comments Off on Soul Cages – Part One. Dreams in the Desert. 23. 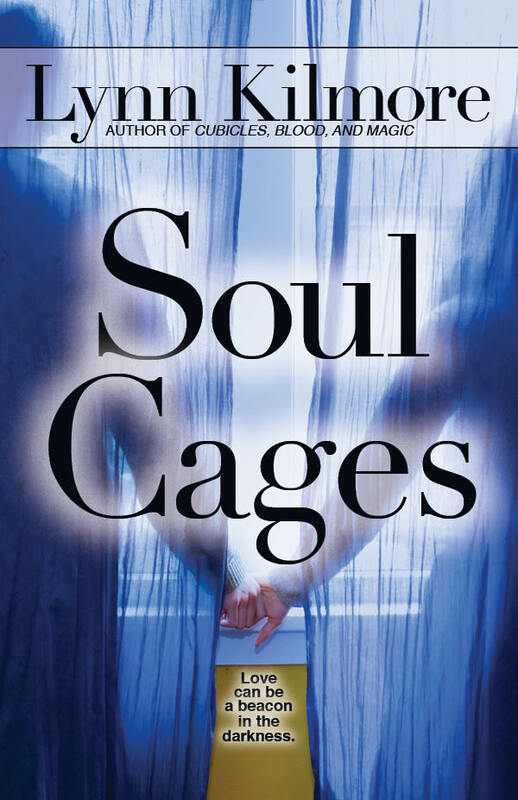 On to Soul Cages. This week we reach a milestone: the last chapter of Part One. This novel is PG-13 for language and situations, so please be advised. Friday morning came all too soon. Even the distraction of having to drop Dad off at work couldn’t help me keep from dwelling on the upcoming meeting with Andervender. Dad and Mom then fought for over ten minutes about what time Mom should pick him up. Mom wanted him to come home early since it was Friday. Dad felt it would look bad if he left while the programmers he oversaw were still working. In the end they compromised on six o’clock. After Dad got out, I had to get into the front passenger seat. Next stop, First Beginnings. Mom drove hunched over the wheel, fuming about Dad refusing to leave early. “Pigeon party!” Henry said again. We pulled into the cracked parking lot for First Beginnings. On a weekday the shopping center was even more depressing to look at. Except for First Beginnings in the center, most of the storefronts were empty. Only a locksmith and a tax service were in business on the far left side of the center. Mom led the way, pulling open a glass door that let out a blast of chilled air. To me, Mom’s heels echoed too loudly in the empty sanctuary. As we approached Andervender’s office, I smelled his aftershave and heard his chair creak as he shifted in it. Mom rapped on his office doorframe. She peered in to exchange joyous greetings with Andervender, as Henry and I lingered behind. “You ought to get a secretary,” Mom said. I realized, appalled, that Mom might apply for the secretary job. Mom said to me, “I’ll take Henry. You come get us when you’re done.” Mom led Henry over to the Sunday School room, entered, and closed the door behind them—leaving me in the hall. I took deep breaths and shoved my shaking hands into my pockets as I slowly walked into the dim bookshelf-lined office. Lighting came from two desk lamps on either side of Andervender’s desk. Beneath the aftershave reek was the scent of decaying books. I closed the door, and walked as slowly as I dared toward his desk, studying the room. There were no windows. Three filing cabinets took up the wall next to the door. On the bookshelves were religious books—Bibles, theological tomes, references, and who knew what. I avoided looking at his face as I sat, instead watching his hands. How I wish I never had to listen to another sermon of yours. How I wish I never had to see you again. “Yes.” I looked at the shelf behind his desk with its Bibles of various sizes and colors. No way was I responding to Andervender’s guilt bait. I eyed his laptop. It looked new, probably purchased in the last year or so. I studied the glass-enclosed shelf above the Bibles. It held ceramic vases. I trembled, but made myself stare into his eyes, not saying another word. No excuses, no pleadings. Humiliation and rage flooded within me. Any denial would sound weak to my own ears, let alone Andervender’s. I watched with dread as Mom got up and went into Andervender’s office. Andervender gave me a stern look, and shut the door. The deep rumble of Andervender’s voice was muffled by the door. But I knew he’d decided to punish me by telling Mom about Trent. Waiting here was more than I could bear. I said to Henry, “C’mon, let’s wait outside.” Henry swept the blocks back into the box without my help, then jumped up to follow me down the hall. “Probably.” I shoved open a glass door with my shoulder, and stumbled into the sunlight to warm up my chilled skin. No matter how I tried, I couldn’t think of a way to head off the coming fight with Mom. Henry sat on the shopping center’s curb and pointed out the circling pigeons to me. Finally Mom came out, eyes red. She said not a word to me or Henry as she drove us home. Comments Off on Soul Cages – Part One. Dreams in the Desert. 23. Soul Cages – Part One. Dreams in the Desert. 22. Posted on November 25, 2013 by Lynn Kilmore | Comments Off on Soul Cages – Part One. Dreams in the Desert. 22. Here’s Chapter 22 from Soul Cages (rated PG-13). I found Tuesday, Wednesday, and Thursday followed the same schedule as Monday. Morning run, then watching Dad drive off at seven. Unpacking boxes, then John arriving after lunch to fix things. Helping with repairs, then participating in a prayer circle with Mom and John at five-thirty when he left. Eating a too-silent dinner with Henry and Mom, then taking Henry out to play at Piñon Park; Ben, Sarah, and Fermat joined us on Wednesday evening. Sneaking off to call Nicole, then Dad stumbling home exhausted at nine from work. Through it all, the winds blew, kicking up reddish dust to hang above the city. And the upcoming meeting with Andervender on Friday loomed in the back of my mind. I asked Ben to stop by with Jin on Sunday to meet Dad. Ben was willing, so we set the time for one-thirty. Every day John and I talked, but kept to safe topics since Henry and Mom interrupted us frequently. We talked about Alexandria versus Albuquerque; about autism; about Habitat for Humanity; about the yard work he did for Mr. Brown, Mrs. Girady, Mr. Rickmand, Miss Wratham and others; about East Alexandria High School, though I left Trent out; about my summer trips with Grannie and Aunt Letty to the Outer Banks; about the black sheep in John’s family—Uncle Arn, who was an entertainment lawyer in Los Angeles; about Grannie’s love of writing poetry and poetry slams; and on and on. Each night I wondered if I ought to fake a fight with John to take the pressure off him to change my mind about First Beginnings. On Thursday night’s call I asked Nicole for advice. “That’d be great.” But I wondered how willing Mom and Dad would be to have Nicole visit. They had left no friends behind, just acquaintances and coworkers. I doubted they would want to find out how First Beginnings looked through Nicole’s eyes. Comments Off on Soul Cages – Part One. Dreams in the Desert. 22. Soul Cages – Part One. Dreams in the Desert. 21. Posted on November 18, 2013 by Lynn Kilmore | Comments Off on Soul Cages – Part One. Dreams in the Desert. 21. We’re approaching the end of Part One of Soul Cages (PG-13). Just a few more chapters, and then it’s on to Part Two. I spent the morning helping Henry unpack his boxes and hanging up his white boards (one used for his daily schedule, the other for his monthly calendar). But the overstimulation of the last few days had taken its toll on him. Henry began to repetitively flick his legs, arms, and face after lunch. Henry ran for the white couch and got the seat cushions pulled off before I caught up with him. He flopped onto the carpet and lay on his stomach. I piled the cushions on his back and legs. He preferred that I start with his back, so I placed both hands on the cushion, which rose and fell with Henry’s breathing, and pushed down as hard as I could. Henry gave a happy sigh. Then the blasted doorbell rang. I let Mom answer the door since I had no keys to unlock it. I was relieved to hear only John’s voice in answer to Mom’s greeting as I kept up the pressure on Henry’s back. John’s toolbox rattled as he said, “I’ll start with the main bathroom faucets you told me about. Then I’ll look over the irrigation system.” He caught sight of Henry and me in the living room, and paused, bemused. “Marian is helping Henry to calm down,” Mom said. John studied how much weight I was putting on mine, and adjusted his arms accordingly. Henry gave a pleased grunt. “Now you’ve got it,” I said. “How long do you apply pressure?” John asked. Mom fiddled with her keys. I could tell Mom was embarrassed about John seeing Henry like this. But John stayed the entire time, asking questions. I ended up giving a rather detailed lecture about the nervous system difficulties of kids with autism. At some point Mom wandered off to unpack boxes in the kitchen. Once done, Henry followed John to the main bathroom to watch him work on the faucets and clogged sinks. I went back to work on Henry’s boxes. But I could hear bangs and clangs from the main bathroom, and the muffled rise and fall of Henry’s voice asking questions. Then I overheard Mom go into the main bedroom and scold Henry for bothering John. Which shut Henry up. But the clatter of tools and hammering went on. I was impressed that Henry didn’t come running into his bedroom with his hands over his ears. The lure of a toolbox had proved to be strong enough to overcome Henry’s noise sensitivity. I’d gotten to unpacking Henry’s CDs of animal recordings— whales, frogs, and wolves were his favorites—when the racket stopped. Henry said in the hall, “Here’s my dead bug collection.” He dragged John by the hand into his bedroom. John caught sight of Sydney’s closet, and paled. “Henry, let me get the collection for you.” I rushed for the shoebox on top of his short bookcase. “You can take it out to the backyard where the light is better.” I put the box in Henry’s free hand, and he whirled around and tried to drag John out of the room. But John resisted, his gaze fixated on the closet. The raw pain on his face made me look away. Henry tugged harder at John’s hand. I watched him struggle to listen to Henry as my brother pointed out the various dead insects and spiders he’d gathered. We both stared at the closet. I moved over to the bedroom door and listened. “Mom’s in the kitchen,” I whispered. John walked over to the closet door slowly, as if he moved underwater, and gently grasped it to pull it all the way open. He took a sharp breath when the scent of roses hit him, and then flicked on the closet light. The grimy interior was just as depressing as I remembered it. John stepped inside, kneeled, made the sign of the cross, and bowed his head. He began to pray, too softly for me to hear. My ears strained to place Mom’s movements. A faint sound of ripping cardboard; Mom tearing open a box. John finished his prayer, made the sign of the cross upon the floor, and then stood up and proceeded to say the Lord’s Prayer while making the sign of the cross on the walls, closet door, and into the air. I was unable to hide my confusion. I headed for the kitchen, John following. Mom was busy putting fine china in high cabinets where Henry couldn’t reach. I hurried into the backyard. “I’ll bring out lemonade in a few minutes,” Mom called after us. Henry sat in the house’s shadow watching anthills. The bright sunlight was welcome after Syd—no, Henry’s—room, but the gusts of dirt-filled wind were annoying. Henry and I peered over John’s shoulder into the moist graveled pit in which the line valves for the irrigation system were laid. “No,” John and I said in unison. Henry groaned “Jinkies” in protest, and went back to watching anthills. Mom came out, handed around plastic cups of lemonade, took a look at the valves, and then retreated back into the house complaining of the dust and heat. “They’ve now made it so. I’ll cope.” He pulled out a screwdriver to poke around the cracked irrigation head. John acted like it was no big deal, but I sensed he was under intense pressure to get me in line. Anger simmered in me but I couldn’t think of an immediate solution. If I confronted Pastor Andervender, he’d figure out John was talking about things he was supposed to keep quiet. There’s time, I told myself. I don’t have to have an answer now. Dad’s commitment to First Beginnings is weakening, and soon Mom’s will as well. I just need to be patient. Have a great week! L.M. Comments Off on Soul Cages – Part One. Dreams in the Desert. 21. Soul Cages – Part One. Dreams in the Desert. 20. Posted on November 13, 2013 by Lynn Kilmore | Comments Off on Soul Cages – Part One. Dreams in the Desert. 20. I crawled out of bed at six when my cell phone alarm went off. Thank God, I’d been spared another vivid dream. I needed to get back into a morning running routine no matter how tired I felt. As I dressed in running clothes, I thought about the night before. Albuquerque sewer roaches had proved to be fast. The roaches loved to congregate in clusters next to the metal sewer covers. Henry had snuck up on each cluster to flick on his flashlight, causing them to scatter. If I’d let him, he would have done it for hours. I’d convinced Dad to let me keep his keys, as long as he got them back before he left for work at seven. The morning air was cool as I let myself out of the house. The Sandia Mountains blocked the rising sun. I did a slow run around my block ten times, studying the houses—there were barred windows, home security stickers, BEWARE OF DOG signs. One portion of the run I nicknamed Street of Barking Dogs due to the racket made as I jogged past. On a longer run I’d head for the bike trail to escape the incessant barking. When I got back, Dad was microwaving his breakfast and had put out paper plates and napkins for everyone. Dad said, “Mom and Henry are sleeping.” He pulled out his paper plate from the microwave—French toast sticks—and ate them with maple syrup and a sliced banana. Dad paused in tossing his plate into the garbage. I could tell he was torn. He knew Henry would love such a trip, but he hadn’t met Ben and Jin. A counseling session with Andervender, just what I DON’T need. Take care until next time, L.M. Comments Off on Soul Cages – Part One. Dreams in the Desert. 20.